By accessing this weblog (titled DailyHistoricEvents), you accept and agree to be bound by the terms and provision of the ToS - Terms of Service. Besides, when using www.dailyhistoricevents.com.ng owned and operated services, you and DailyHistoricEvents shall be subject to any posted guidelines or rules applicable to such services, which may be posted and modified periodically. All such guidelines or rules are hereby incorporated by reference into the ToS. The author, administrator and publisher of DailyHistoricEvents and the accompanying materials have used their best efforts in preparing DailyHistoricEvents materials. The author, administrator and publisher of this weblog make no representation or warranties with respect to the accuracy, fitness, applicability, or completeness of the contents on www.dailyhistoricevents.com.ng. The information contained in DailyHistoricEvents is strictly for educational purposes. Also it may offer other services that are governed by different Terms of Service. > Applicable laws, regulations and generally accepted online practices or guidelines. 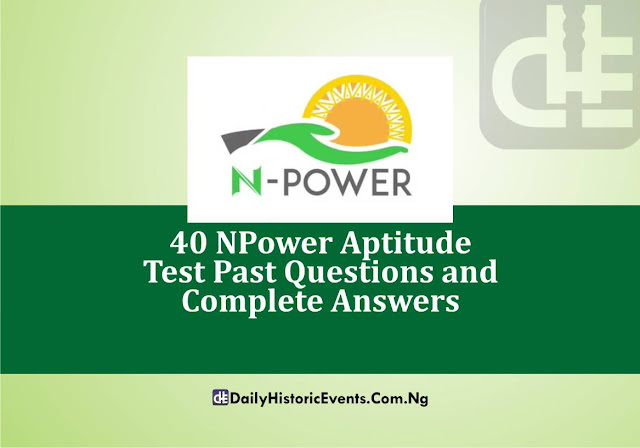 Sequel to the current ongoing NPower aptitude test for the June/July 2017 recruitment, and being one of the two hundred thousand (200,000) first batch beneficiaries of the NPower programmes which commenced on last year December, I’m very delighted to be of great help in assisting other unemployed Nigerian youths who have applied online to be among the final successfully-shortlisted candidates by painstakingly compiling all the NPower aptitude test past questions usually asked during the first batch aptitude test as well as the current assessment test overnight, with complete answers. 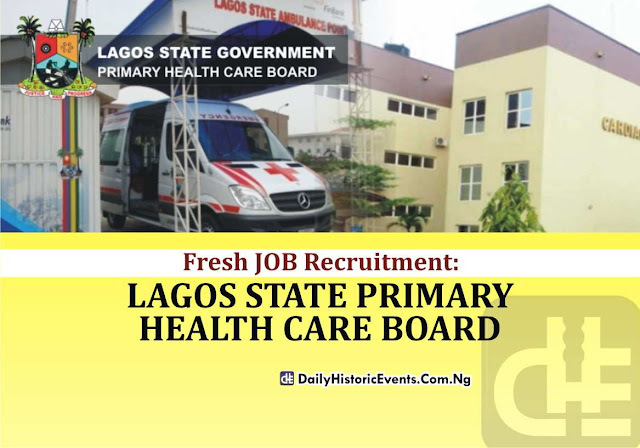 Lagos State Primary Health Care Board is currently inviting applications from the general public who are qualified for the ongoing job openings. The LSPHC board is purposely set up to provide universal coverage of quantitative, effective and efficient primary health centres, with the foresight to develop a sustainable primary health care system where disease burden is reduced to the barest minimum and quality of life is enhanced. 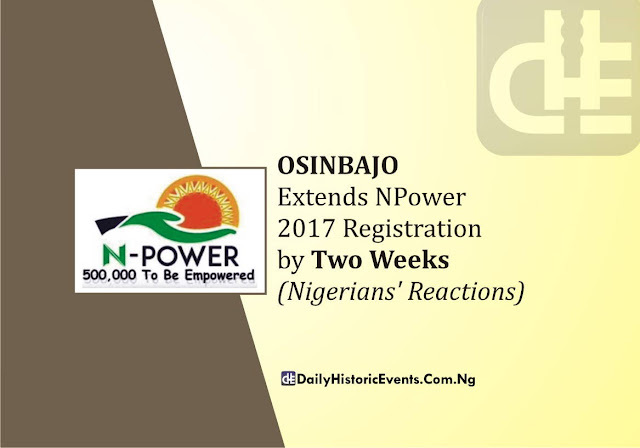 The registration deadline for NPower 2017 application that was earlier scheduled to close on Thursday 13th of July 2017 has been extended by two weeks by the Acting President of the Federal Republic of Nigeria, Prof. Yemi Osinbajo. The NPower application portal will now close on Thursday 27th of July 2017 as announced this Friday (14th July, 2017) by the Acting President when he visited the NPower Call Center in Abuja, where some youths were given tablets to facilitate their jobs. He disclosed that about 2.3 million individuals had already applied for engagement under the scheme. “Already 200,000 young people have been engaged. And since the programme was opened another 2.3 million have applied and we are looking at the next phase of engagement. The Federal Polytechnic Ado-Ekiti is hereby currently inviting all the eligible candidates to apply for 2017/2018 ND (National Diploma) Admission Screening Exercise which will commence today, Monday 25th of September 2017. (i). All Candidates who chose the Federal Polytechnic Ado-Ekiti as their First or Second Choice and obtained a minimum cut-off mark of 160 in the 2017/2018 UTME. In addition to the above, Candidates must possess five (5) O’ level subject requirements at Credit level in not more than two (2) sittings. 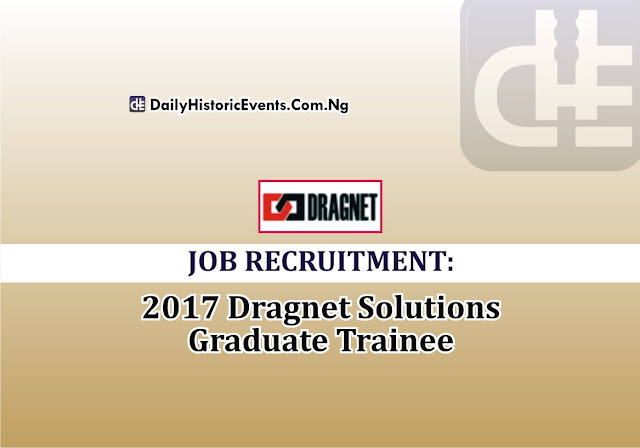 Dragnet Solutions Limited is a dynamic firm that specializes in the design, development and implementation of innovative people screening solutions that can be deployed in a variety of uses covering both the workplace and the educational arena. They are currently recruiting for multinationals in the oil and gas, banking and FMCG sectors with operations in the North East region for entry level positions. NOTE: Preference will be given to candidates who are residents in the North East or of North Eastern origin (Adamawa, Bauchi, Borno, Gombe, Taraba and Yobe States). Copyright © 2017- DailyHistoricEvents.Com.Ng. All Rights Reserved. Olajide Olubamiro is a resourceful, passionate blogger who is fond of deriving great pleasure from disseminating memorable, clear and concise information to other people in a simple, learner-friendly approach. He is an Accountant by profession. He is an inspiring writer, weblog designer, graphic artist, printer, publisher and initiator of iCARE initiative Facebook page. He is well known as a fully committed, goal-oriented, highly organized and consistent individual who always bears in mind the need for further personal development and progression.